As a UK tax-payer, so far I’ve stuck to UK based alternative finance platforms. I’m open to the idea of trying out a couple of continental European platforms: more diversification, some new customer cashback offers and potentially higher returns (12%+). Tax. What implications would investing in EU platforms have on my UK tax? Are they properly equipped to provide statements for my annual tax return? Could I lose out on certain tax benefits? Would a non-UK income, with currency conversions etc lead to additional paperwork? I will try to answer these questions in this blog post. Currency Conversion. What are the transaction costs to convert from £ GBP to € EUR? If transaction costs are significant that would eat up a significant proportion of the returns. I will look at this in more detail in a later post, tax considerations permitting! 1.2 How Does HMRC Tax P2P Income? 3.1 Do you need to break out loans by country from within a platform? 3.2 Can you deduct the cost of foreign exchange fees or exchange rate margins? 3.3 Question: Is there anything else that I need to take into account, that is different from lending via a UK peer to peer company? I’m not a tax advisor, this is what I’ve found from my personal research. Please confirm with your own research regarding tax. HMRC quotes are taken as of 27th December 2016 and may have changed if you read this much later. Most UK taxpayers receive a personal allowance of £1,000 of interest income before they have to start paying tax (£500 for higher rate tax payers, £0 for those earning above £150k). Beyond this, tax is payed at the marginal rate of income tax. A) Through your annual tax return, if you need to produce them (I have to do this as I am self employed). B) Contacting your local tax office and providing the annual tax statements from P2P lending platforms, who should adjust your PAYE tax code on your behalf. 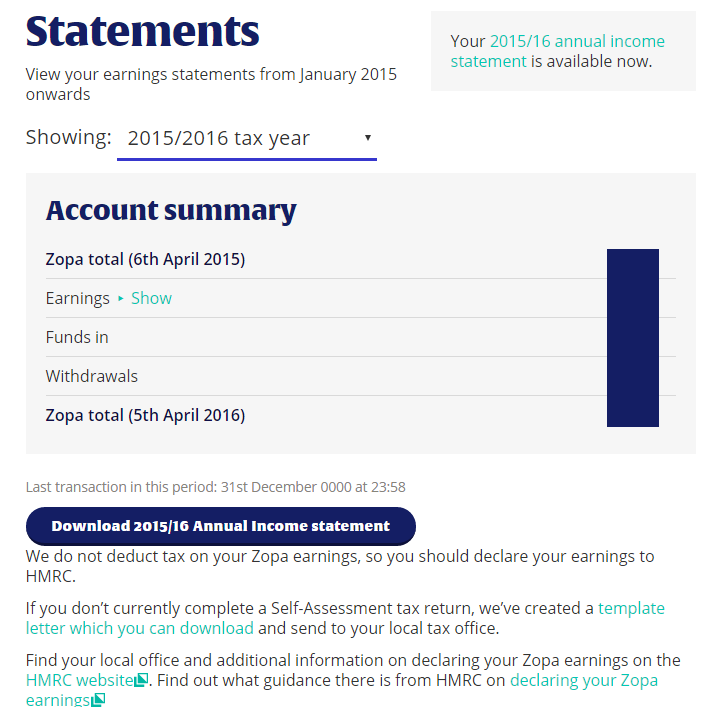 Zopa have made a template letter that you can download and send to to your local tax office (download link, no Zopa account needed). How Does HMRC Tax P2P Income? 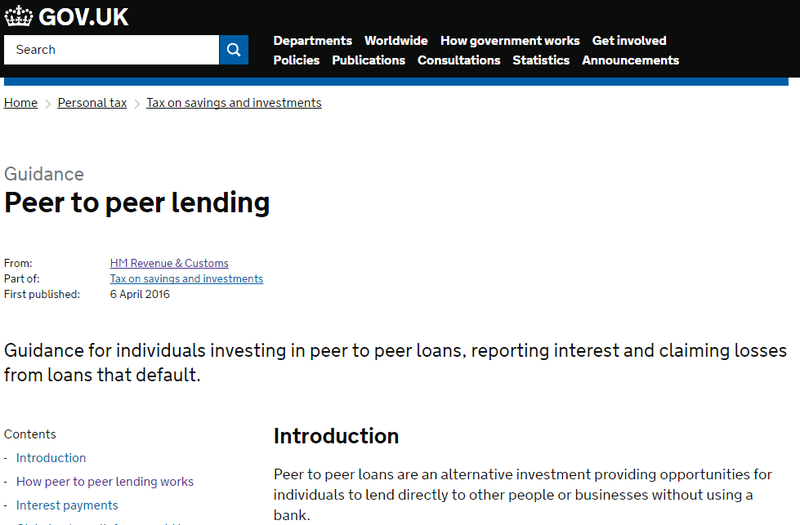 The UK Government have published a short guidance document on P2P investment here. 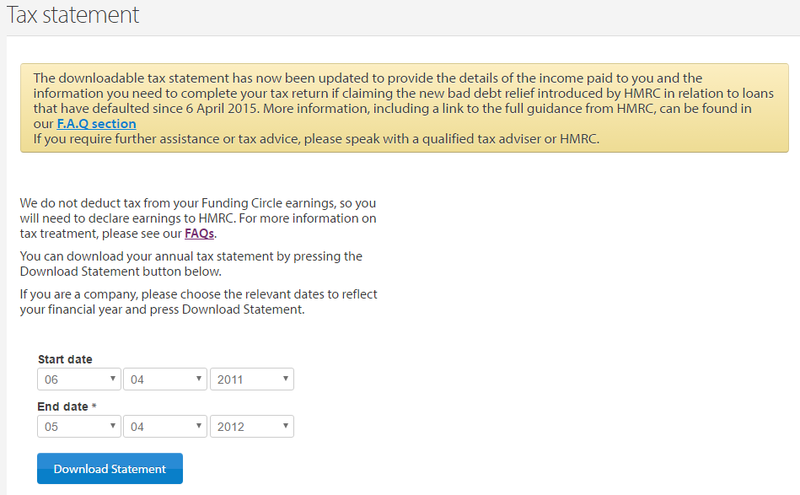 Produced by HMRC, it is a useful introduction. 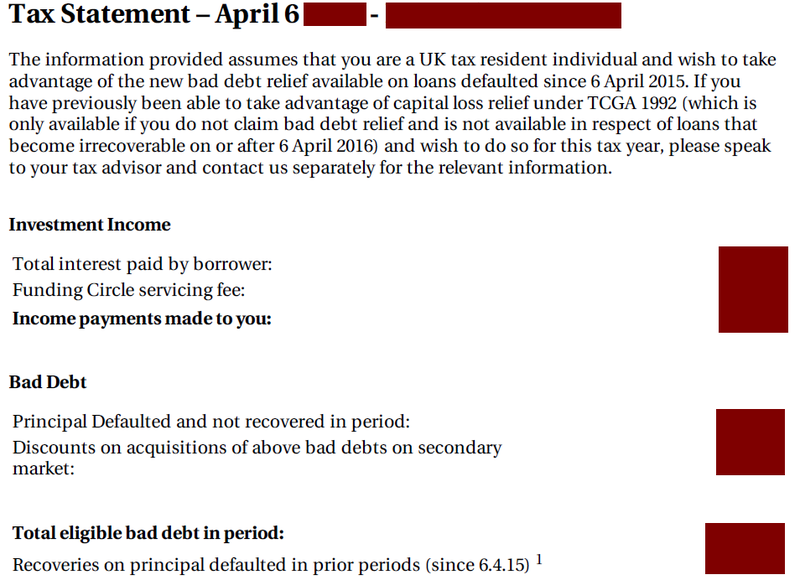 An important point in the HMRC document is regarding claiming tax relief on unpaid loans. One of the stipulations on claiming tax relief given in the guidance document is that loans are “through peer to peer lending platforms that are authorised by the FCA”. As many of the EU platforms are not authorised by the UK based FCA, does that mean that bad debt cannot be claimed offset against interest payments? This condition may also be met if the loan is made through an operator who is based elsewhere in the European Economic Area and has been granted equivalent permissions under the law of that jurisdiction. However this will only be the case where the operator has been granted a permission to undertake the activity, if the law instead states that permission is not needed to operate as a peer to peer lending platform in that jurisdiction then the condition will not be met. At what stage is a loan deemed ‘irrecoverable’ so it can be offset against tax? Whether a loan has become irrecoverable should be judged on a case by case basis, however as the loan will be managed by a platform, the platform would usually be in a position to determine when a loan has become irrecoverable. The platform would then inform the lender that the loan had become irrecoverable. If the platform does not undertake this action, then the lender may still determine that the loan has become irrecoverable. However it will be the responsibility of the lender to show that there is no reasonable prospect of the recovery of the loan and it is NOT simply a case of late payment. Before looking at the continental European platforms, its useful to look at what some of the largest, well established UK platforms provide as an example of ‘best practices’. As mentioned above, there’s also a template letter that you can send to your local tax office if you’re not required to provide an annual self-assessment. As this is open to anyone to download, you could potentially use this template as a guideline and just add your other platforms into the same letter. This generates a really detailed pdf statement. In my case I had my personal details, a summary overview (as per the screenshot below), and details broken out by property over 10 further pages. Do you need to break out loans by country from within a platform? Yes when you complete a tax return and receive foreign income you have to declare the income from each country separately. The reason being if you are claiming foreign tax credit relief the amount varies from country to country. Can you deduct the cost of foreign exchange fees or exchange rate margins? I asked about offsetting foreign exchange fees, and also where to take exchange rates from. HMRC advised me to refer to HS263 for exchange rate related questions (here is the link). What I am still unclear about is, if we see a major currency movement, would that get classed as a capital loss or interest gain? Question: Is there anything else that I need to take into account, that is different from lending via a UK peer to peer company? So, now on to look at the sample selection of Continental European platforms. I selected these because I had seen them mentioned on other blogs or articles and had a homepage in English and reached out to them via email. 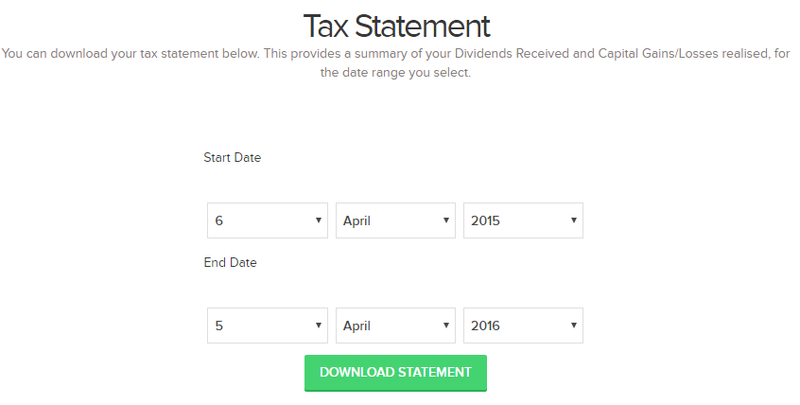 Yes, there is a functionality to generate a statement for tax purpose. 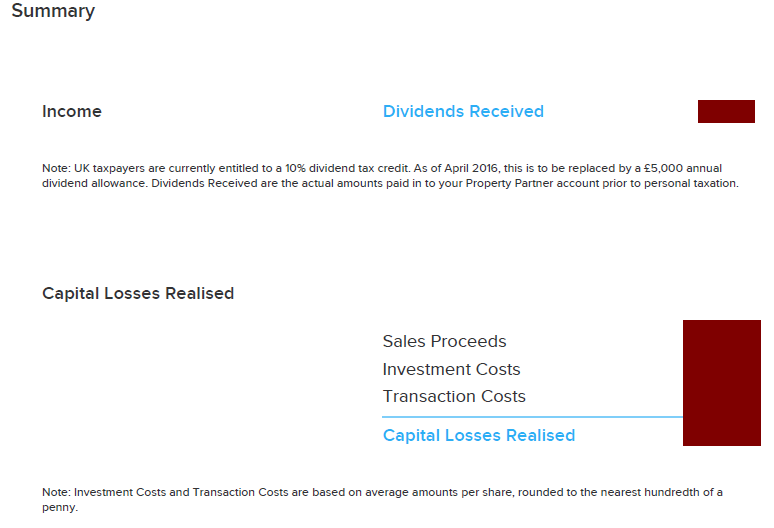 This is done from the cashflow page. You can simply select the date range and ensure the necesary componets are present on the table columns before clicking the pdf button at the top right conner to download the pdf statement. 1. First, Bondora does not give any form of tax advice, as tax regulations differ per country and this is why we encourage investors to consult with their local tax authorities to know how and when exactly they need to report their earnings from our platform for tax purpose. The pdf statement for tax purpose does not show a country to country break down of interest received or losses. It gives an investor a statement of the transactions that occured within the specified period of time. Investors who needs to differentiate earnings or losses per country within the platform may filter this out from their private statistics page. 2. Bondora is regulated by the FSA – Financial Supervision Authority in Estonia. The FSA is the main regulatory body which governs all banks and credit providers. 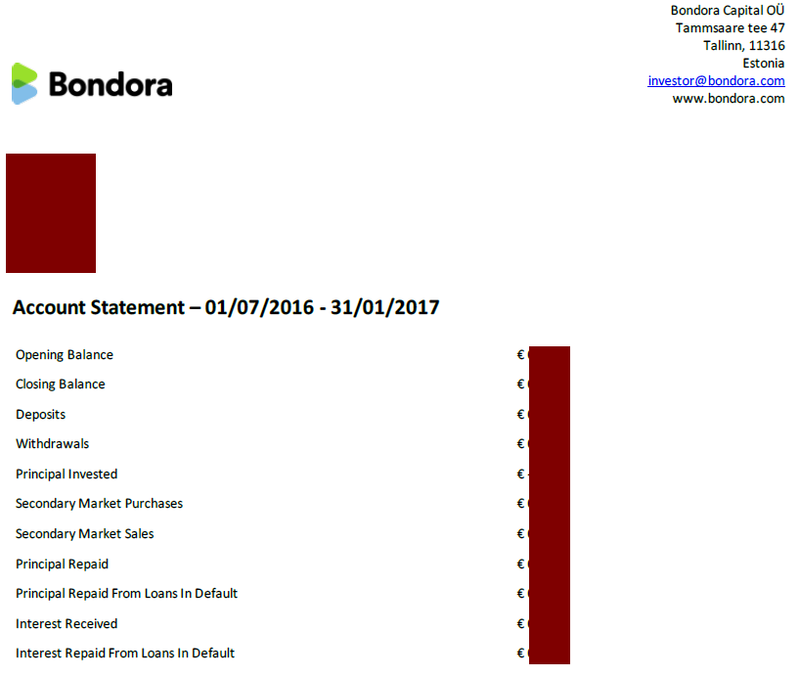 Please see https://support.bondora.com/hc/en-us/articles/213693549-How-is-Bondora-regulated-. We have account statement section where investors could filter any period and see these values summed and grouped as well as all operations in this period. There is also option to download period statement in Excel format. Yes, there is such an option. There is loan numbers in account statement in each operation. In our loan book there is information about country of each loan number. All loan originators that are connected to our marketplace work according to law of the country where they operate. They all have all the necessary permissions and licences. Mintos offers service of arranging assignment agreements between loan originators and investors. Mintos work according to Latvian law. This service at the moment doesn`t need to have licence in Latvia. We work with government to introduce regulation for this service. 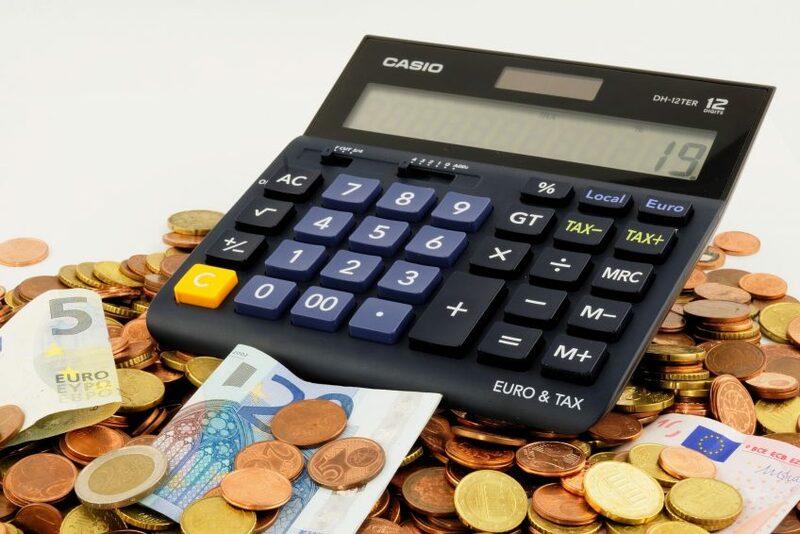 We do not have a section on taxation, since the taxation laws differ quite a lot in the EU countries, and we only inform that the profit acquired through TWINO is taxed according to the income tax laws in force in each investor’s home country. No taxes are deducted from our side, this it is the investors sole obligation to pay taxes from the interest income received on TWINO. If a document confirming the income is needed from our side, we can prepare it by the investor’s individual request. We have prepared only a few. In most cases, the information that can be filtered out of the Account Statement MS Excel sheets is sufficient. In the future, we plan to provide an automatic report that can be generated directly from the website. Currently we can not specify how soon this could be introduced, though. No country by country breakdown is necessary, as investors deal only with SIA TWINO, which is registered in Latvia, and not the daughter companies. TWINO is working in accordance with the laws and regulations of the Republic of Latvia and the requirements of the Consumers’ Rights Protection Center. Currently there is no regulation overseeing the P2P industry in Latvia, but TWINO and other participants of the market are working together with the Ministry of Finance and The Financial and Capital Market Commission to develop the respective legislation. As for the other countries, TWINO works in accordance with the laws and regulations for the alternative finance industry and does have the specific lending permissions where such a permission is required by law. We are requesting investors to upload their Certificate of Fiscal Residence, with this document they have the opportunity to declare the earnings in the country where they are fiscal residence. On the EstateGuru website, we do not have a specific section for the annual UK tax statement. However, investors can easily access all their transactions and filter them accordingly to cash flow types and date at all times. Therefore, it is quite easy for them to see data regarding how much interest they have earned during their selected period. In our system, the investor can select two dates and get an overview of all the transactions between those dates (including interest revenue). Unfortunately, our system does not calculate the sum of interest (it only shows single interest payments separately), however the investor can download an Excel copy with the same filters set before and in Excel the sum of interest can easily be seen. EstateGuru added that their IT development team were looking into adding an automatic report for this. Lendix told me they do generate a tax statement, but over the calendar year rather than the UK tax year. They also added that currently the project descriptions are only in French, Spanish and Italian and not English, so you would not expect many UK lenders to join in the first place. HMRC are easy to contact for peer-to-peer lending queries and even have a ‘live chat’ on their contact us section (here is the link again). In general, irrecoverable losses can be offset against tax so long as certain criteria are met, across platforms and carried forward for up to 4 years. In general, selling on bad loans on secondary markets (if possible) is a complicated tax affair with regards to offsetting against tax. You need to break out interest income from European platforms by borrower country. You may not be able to offset irrecoverable losses against tax if HMRC does not feel that the EU platform has been given permission to operate peer to peer lending by the equivalent of the FCA in the jurisdiction in which it operates.